The GOYAlumni of SS. 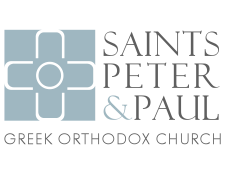 Peter and Paul Greek Orthodox Church aims to be a conduit of the holistic growth of our parish’s College Students toward Christ and His Church. Our GOYAlumni strives to accomplish this mission by intentional gatherings of Worship, Fellowship, Outreach, and Education for our College Students, giving them place to come home to on their breaks, at this crucial time period in their lives.